We are so excited to announce that we have started carrying Pura Vida bracelets that look good by themselves, layered together, or layered with your other bracelets! Keep one for yourself and give one as a gift! Whatever you do, keep it as a reminder to live your life to the fullest! Curious about who makes these beautiful bracelets? Straight from the Pura Vida headquarters, we know how special each bracelet really is. "Every Pura Vida Bracelet is carefully handcrafted by artisans around the world. The commitment to their craft is conveyed through the quality of their work. The artisan’s dedication to the “pura vida” way of life is demonstrated in the seemingly endless color combinations and innovative styles. Each bracelet is as unique as the person wearing it. Now 200+ artisans can depend on steady income in positive working environments, thanks to the support of Pura Vida Bracelets customers. The bracelets continue to serve as a tangible reminder to slow down and live in the moment." 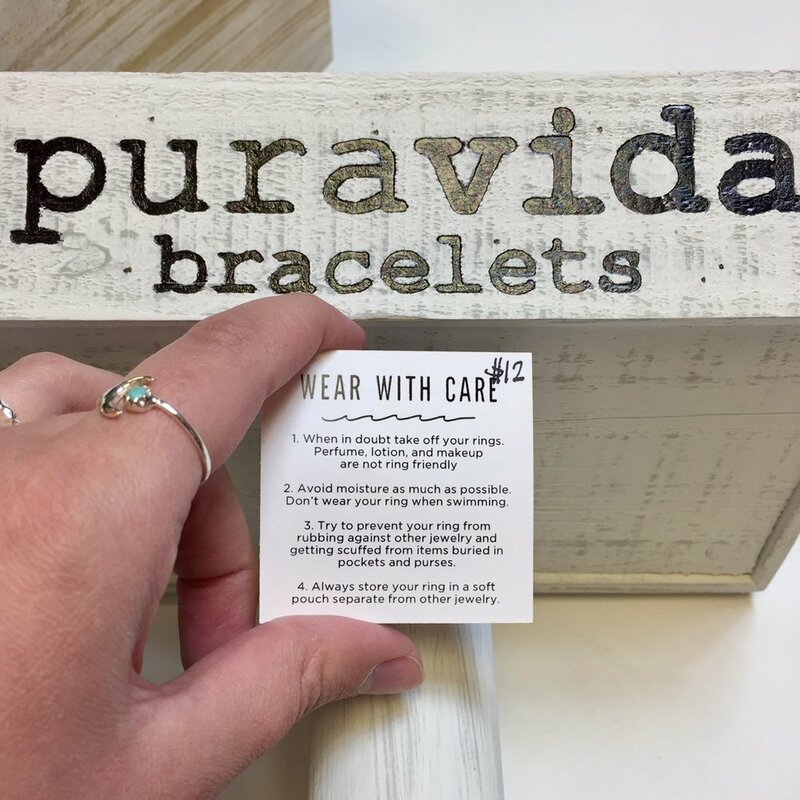 Pick up a new Pura Vida bracelet on your next trip in or on Diva Day, next Sarturday 21!